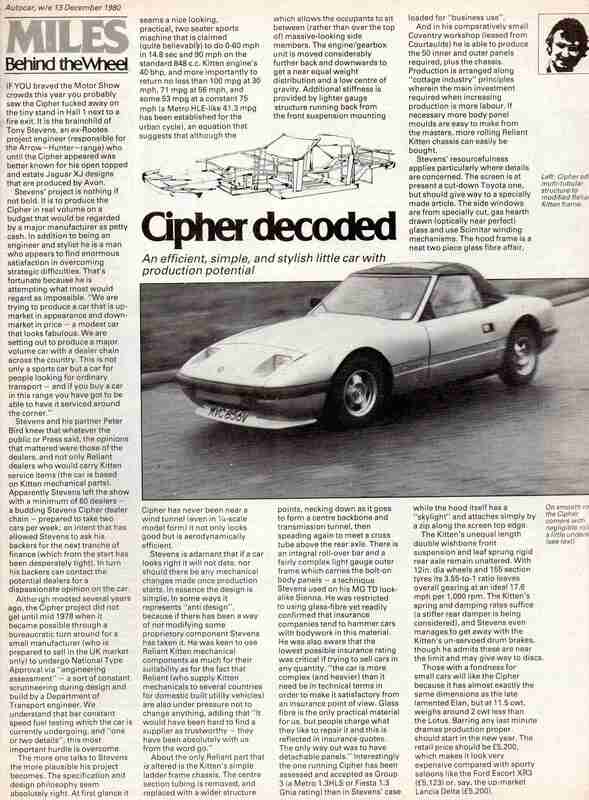 The Cipher was tested by several motoring magazines of the day. 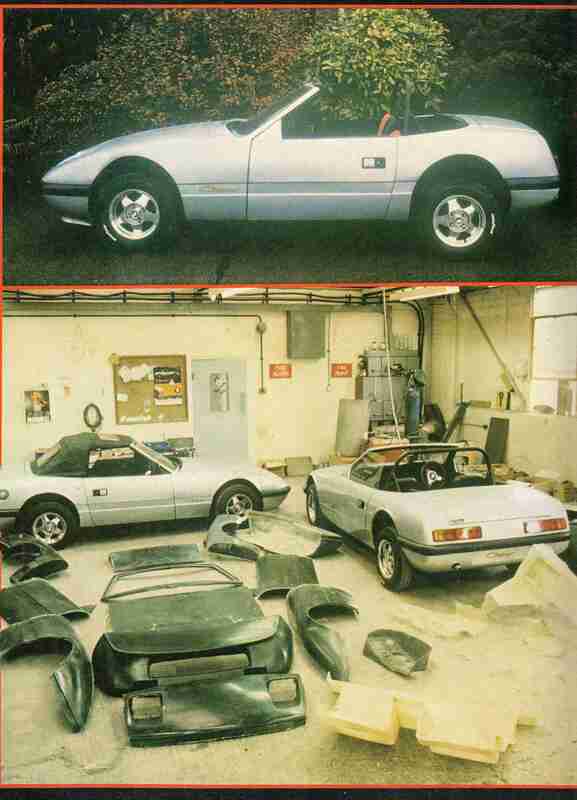 Some are reproduced below. 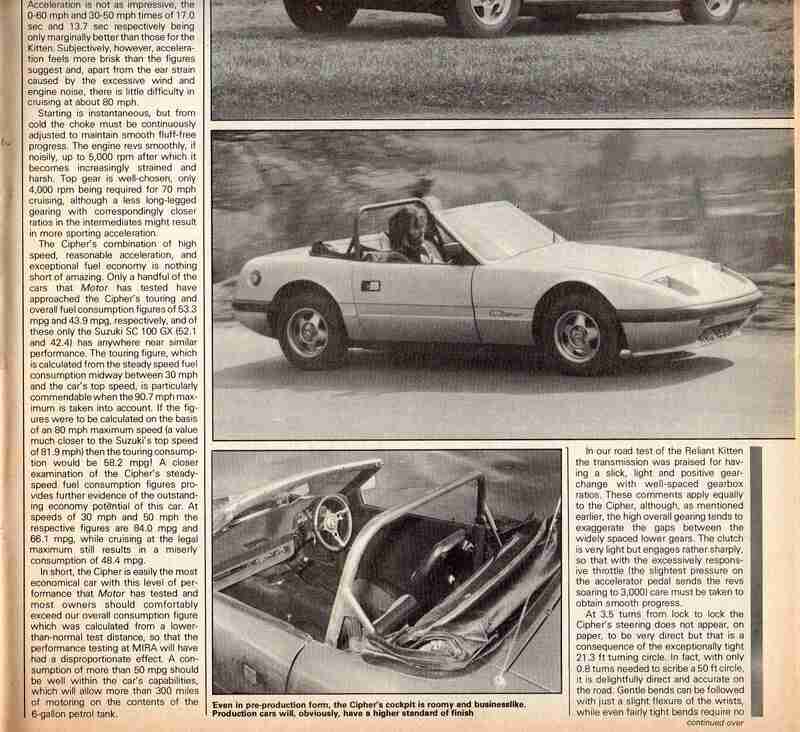 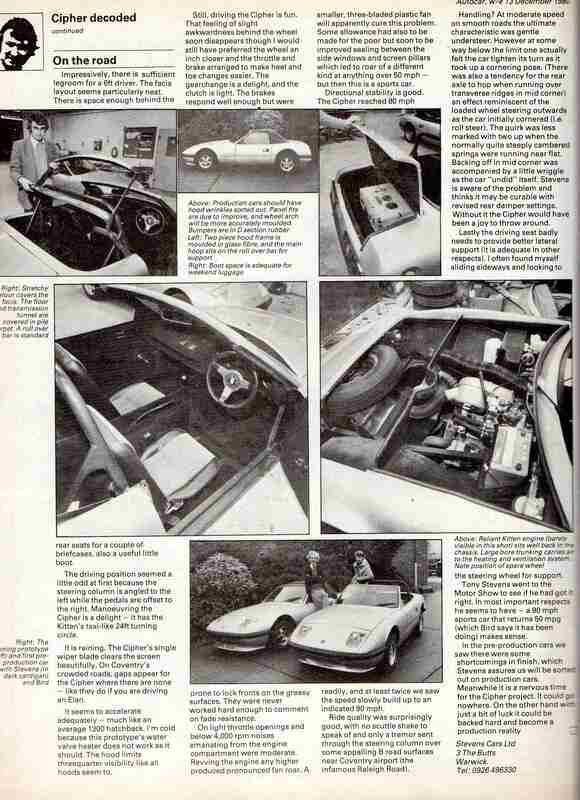 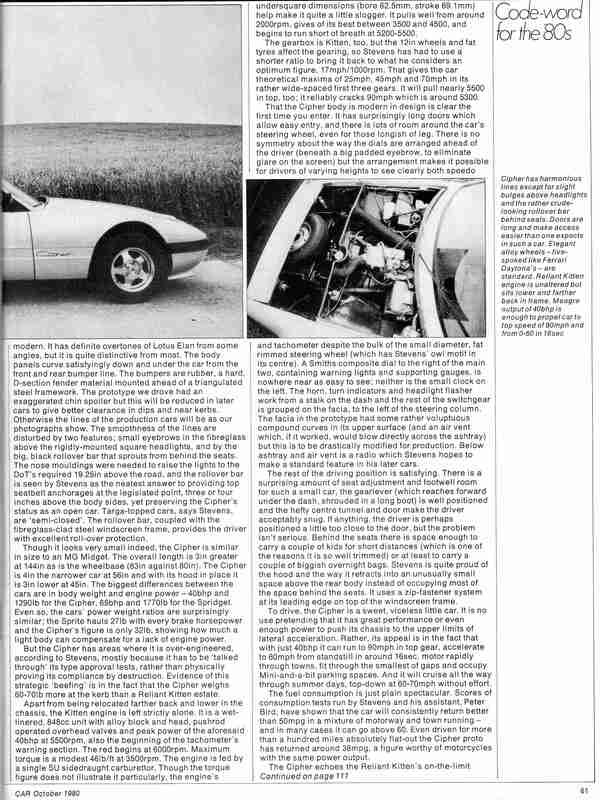 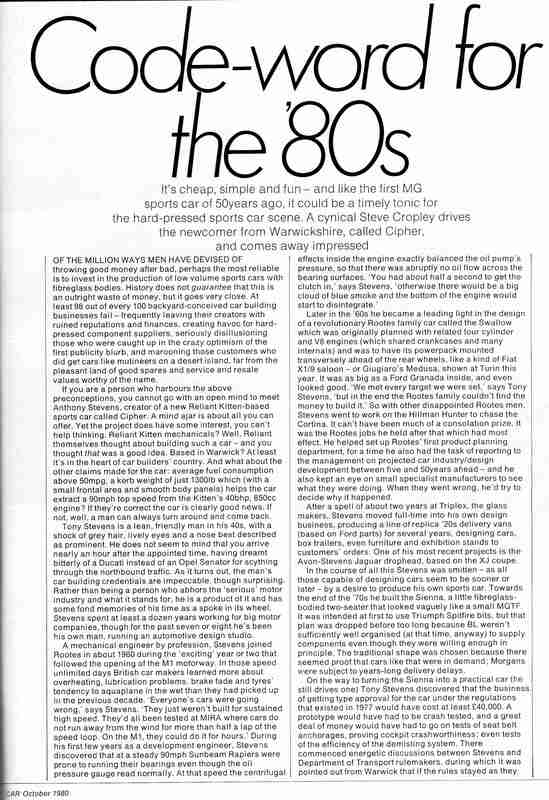 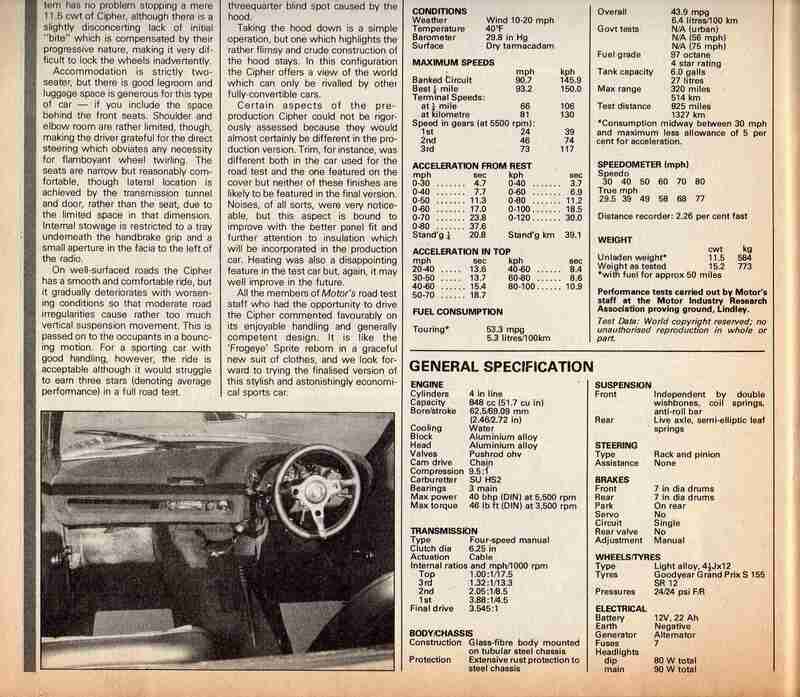 In October 1980 Car Magazine wrote the following road test. 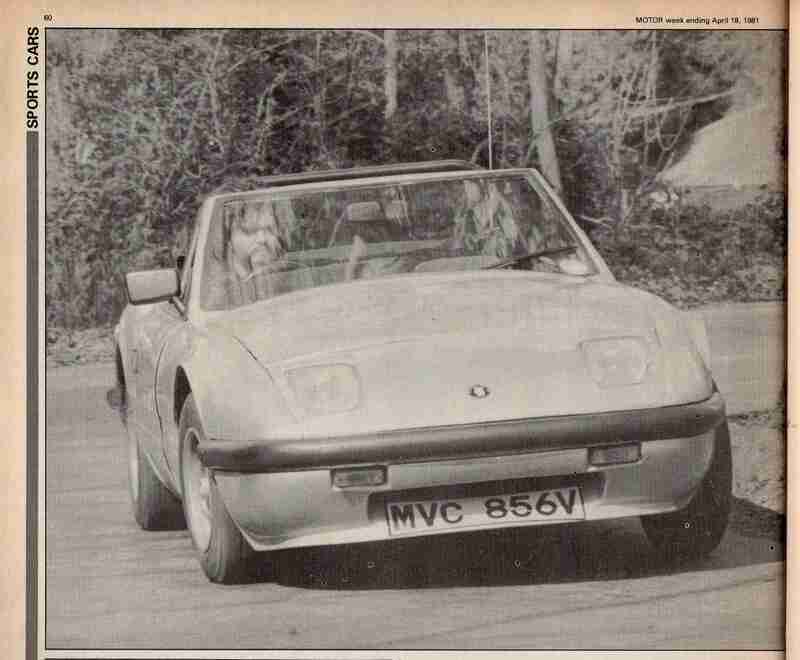 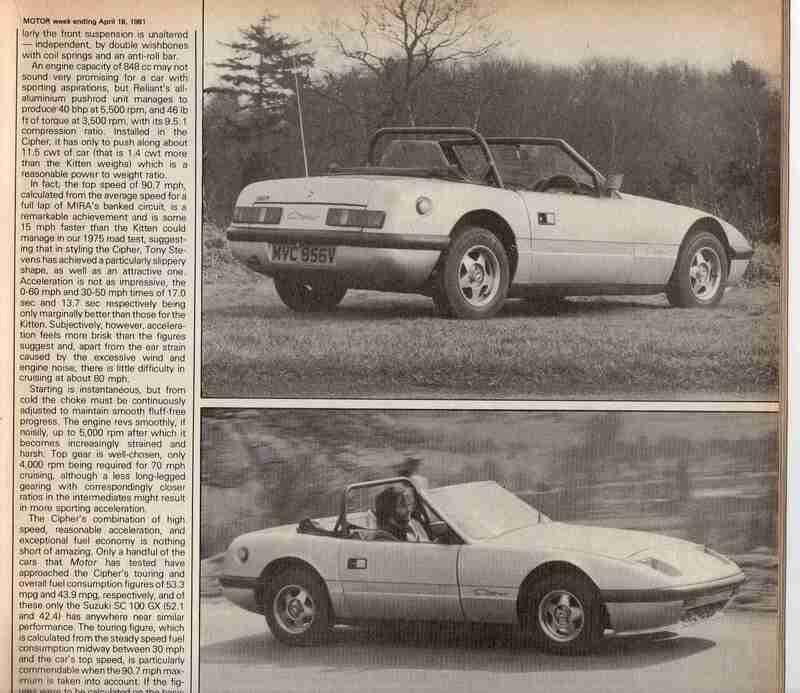 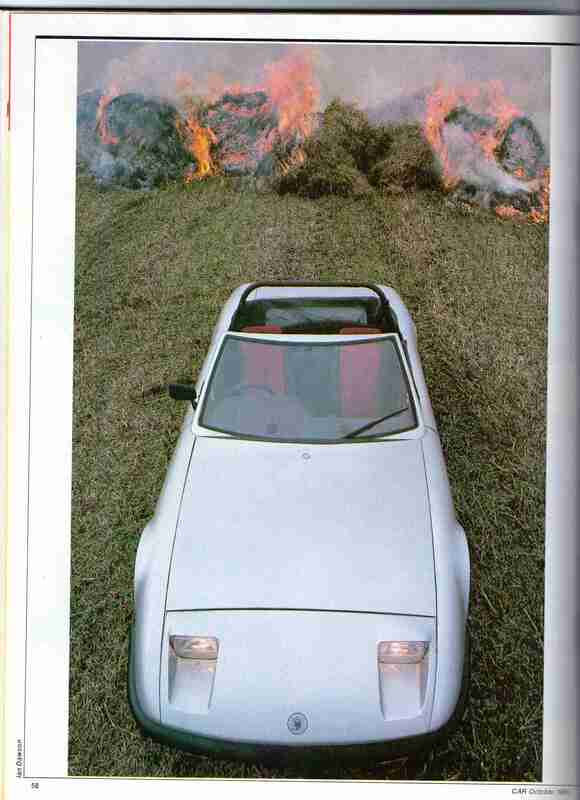 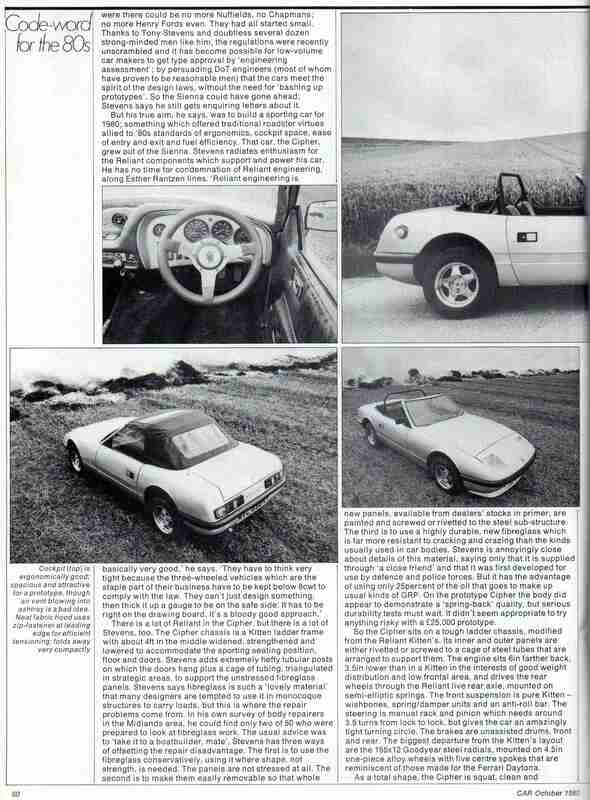 In December 1980 Autocar Magazine wrote the following road test. 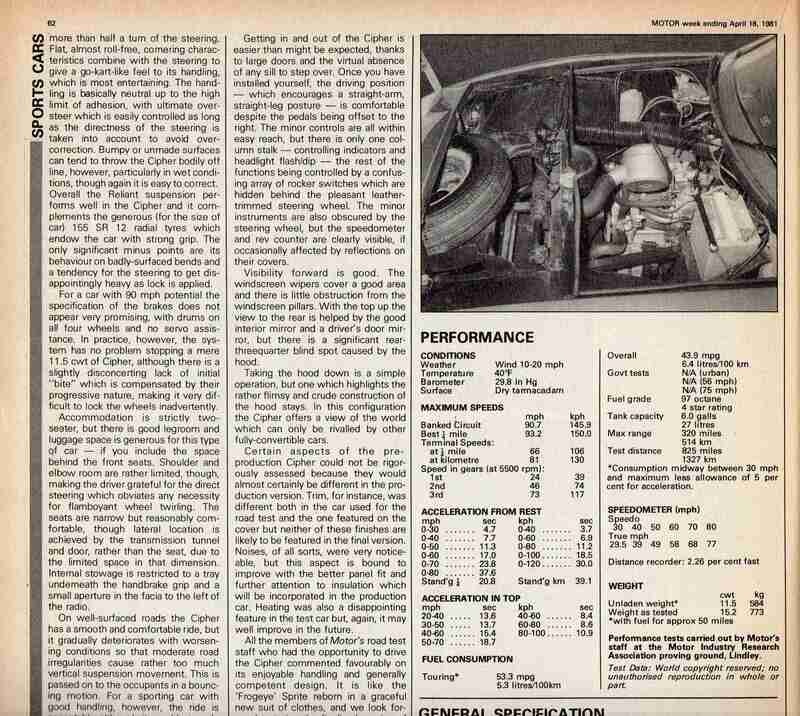 In April 1981 Motor Magazine wrote the following road test .